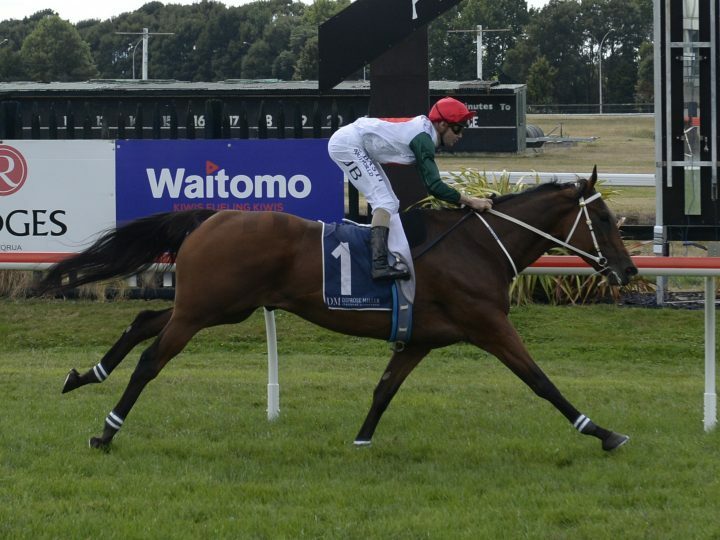 The wait has been worthwhile for the connections of the Waikato Stud-bred four-year-old Master Park. The lightly-tried gelding has been treated patiently and he responded with his maiden success at Rotorua yesterday. Master Park made two unplaced appearances last season before trainer Stephen Marsh put him aside. He showed the benefit of a break with a resuming second and followed up with a dominant win. Ridden by Jake Bayliss, he went straight to the front and the result was in the bag a long way from home. Master Park kicked off the bend and had two and a half lengths on his nearest rival at the post. A son of Ocean Park, he is out of the Danasinga mare Go Our Dana who has now produced five winners. She is a daughter of the Gr.3 Ladies Mile winner Mi Babe and a half-sister to the multiple winner Pinmedown.